The interactive media arts exhibit “Post Mortem“ by Jannis Kilian Kreft takes the user on a dark visual and acoustic journey. 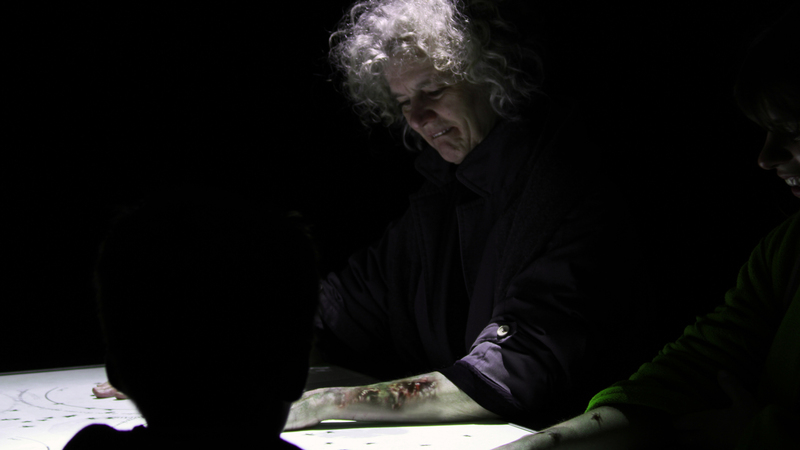 “Post Mortem“ shows the biological decomposition process of the human body alongside a developing population of flies – all processes are scientifically and realistically depicted, forming a one of kind media arts experience. HOW DOES POST MORTEM WORK? 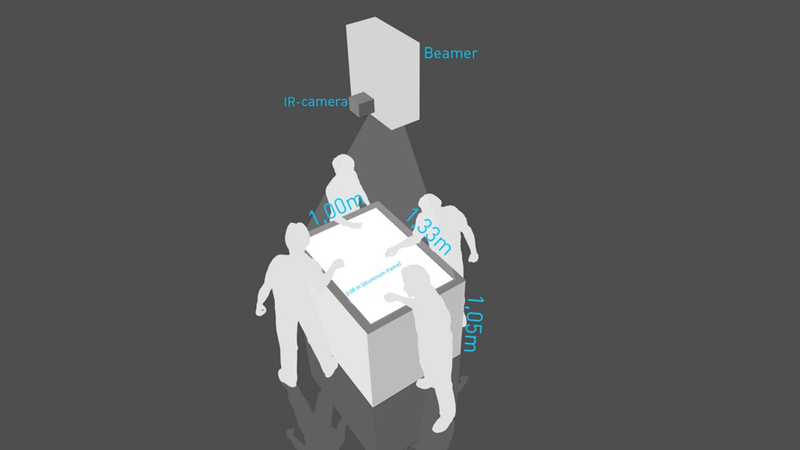 Kreft creates a media space that allows up to 8 people to interact at the same time. 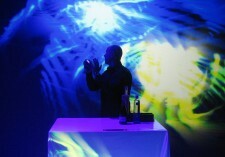 Discovering death is becomes a communicative group experience. The users place one or both bare arms on to the surface of the table. The position can be chosen freely. 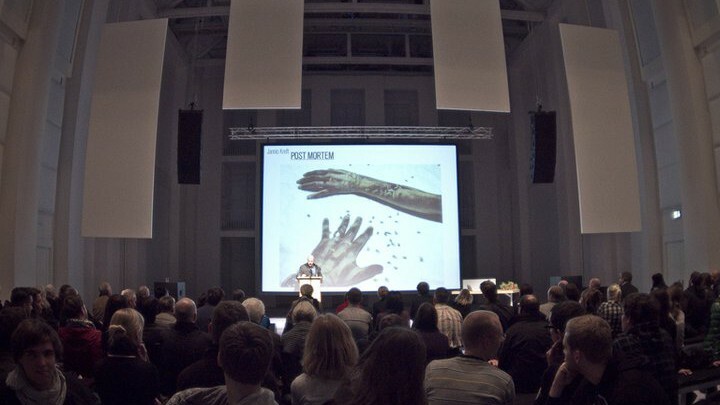 Once the arm is on the table, the user is virtually dead and the simulation begins, all calculated in REALTIME. 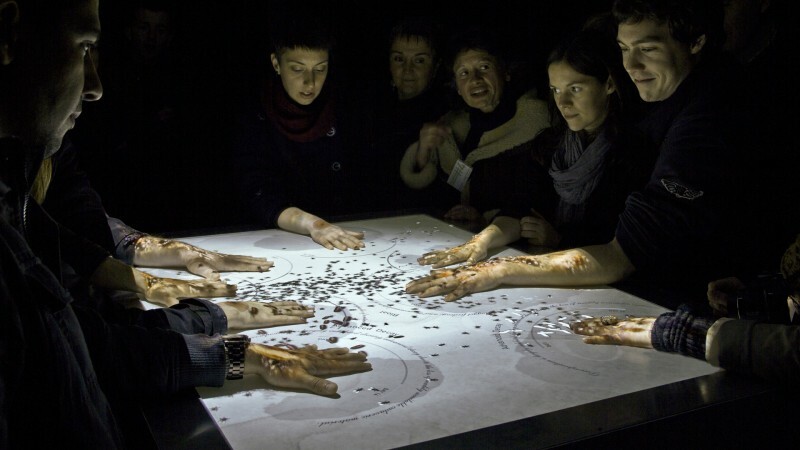 The user experiences the process of decay directly on his arm! Once layed on the table, the users arm should not be moved to underline his symbolical death. 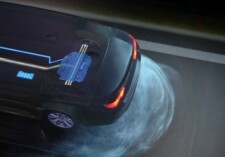 Nevertheless, a repositioning of the arm during the simulation is possible at any time! At the beginning of the simulation, the table surface is nearly free from flies. 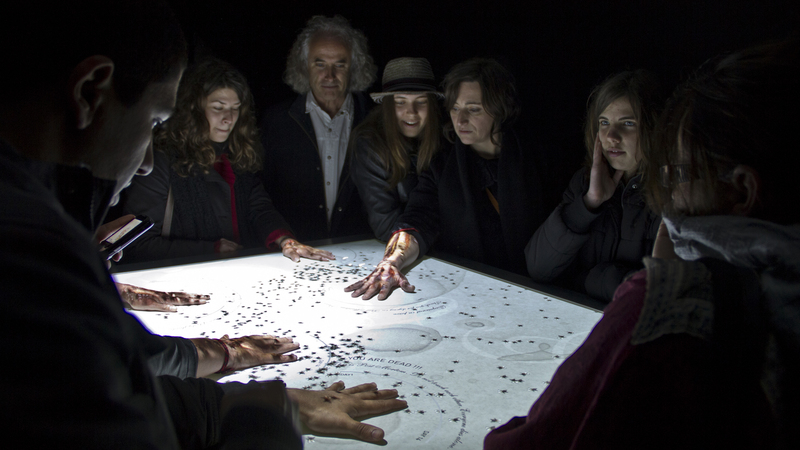 The intelligently programmed flies search for arms on the table surface. If an arm is held steady for about 15 seconds, a fly appears to lay eggs. From the eggs develop rapidly growing larvae, which feed on the dead flesh of the arm. Once they have reached a certain size, they pupate in brown cocoons. After about 10 days a new population of flies hatch. 14 days in the simulation correspond to approximately 5 minutes. The more arms on the table, the more flies mature. Even the flies are not immortal. After the expiration of their programmed life span, they remain motionless. When a new user places an arm on the table or someone leaves, the living flies get airborne until the visitors are calm again! 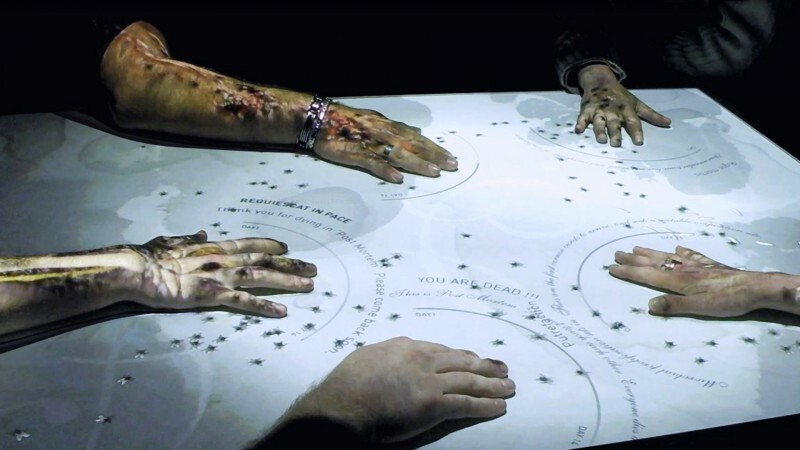 A graphical display in front of the users hand with accompanying brief information about the decomposition stage and the corpse lying time provides visitors with additional scientific information. 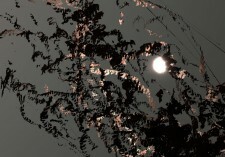 Post Mortem by Jannis Kilian Kreft is programmed in realtime. The virtual flies follow complex behavior patterns, that are modeled close to nature. 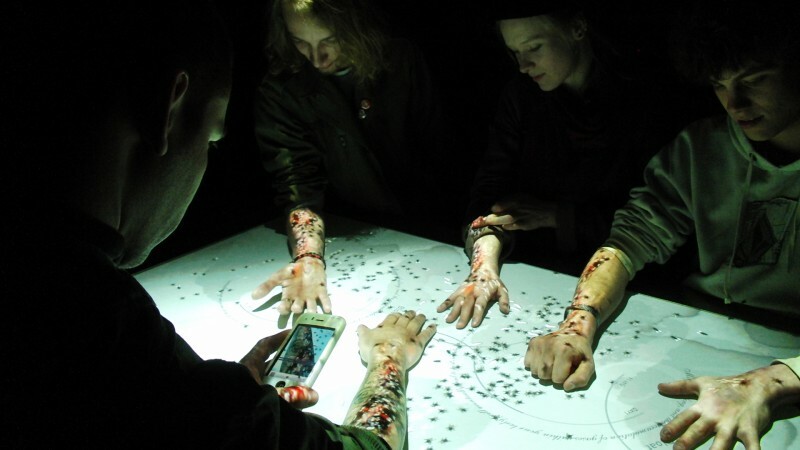 Using camera tracking, realtime masking and mapping, the decay process is projected directly onto the arms of the users. 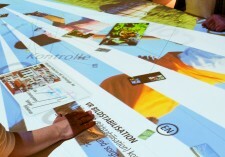 The entire table surface is interactive and multi-user capable. All effects are calculated dynamically.Post Mortem is programmed in vvvv.